Bone Broth Health Benefits on a Keto Diet - Nutrients PLUS! Home » Resources » Bone Broth Health Benefits on a Keto Diet – Nutrients PLUS! Bone Broth Health Benefits on a Keto Diet – Nutrients PLUS! Bone broth has been a part of the human diet for almost as long as man has wandered the earth. As hunter-gatherers, before the dawn of farming and industry, humans let nothing go to waste. That included consuming the salty, nutrient-dense bone broths that they made from the bones left over from their catch. There is documented evidence that our ancestors stored bones as a source of nutrition for the winter. During these times where they could not hunt, they would break the saved bones then stew them. Stewing the bones would draw out the nutritious marrow, fats, and minerals to see them through the winter. Whether through instinct or recognizing the feeling of wellbeing bone broth gave, its consumption was popular through the ages. Like we touched on earlier instinct is a powerful thing and most species instinctively recognize what’s good for them through a sense of well being. Broths have been used for centuries as remedies for colds and flu. Bone broth is not only good for you it’s one of the most nutrient dense sources of essential minerals that you can get. Consuming bone broth has a lot of health benefits both physically and mentally. Not only that but a well-prepared bone broth consists of no carbohydrates, preservatives or chemical additives. Can you drink bone broth on a keto diet? As I just mentioned, real bone broth has no carbs for a start which is a good thing for a keto diet. You can and should drink generous servings of bone broth on a keto diet. Bone broth helps prevent keto flu and is an excellent way to replenish essential electrolytes in the body. On a keto diet bone broth also helps retain lean mass (muscle) due to its collagen and amino acids content. The collagen in bone broth will also provide your skin with elasticity as you lose weight and may help limit loose and saggy skin. We make large batches of bone broth from lamb, beef and chicken bones which we freeze or refrigerate to have on hand. A flask of bone broth in the morning is an excellent way to start the day for anyone on a ketogenic diet. Collagen is a protein found in the connective tissues throughout the body. Collagen is also the protein that you will get from bone broth. Collagen consists of 18 amino acids with 8 of them being essential amino acids. Of most note are the high levels of Alanine, Glycine, Hydroxyproline, and Proline. Collagen is in ligaments, tendons, nails, the skin and linings of the gut and organs throughout the body. Consuming collagen can help ease stomach upset as it lines and protects the walls of the gut. For those on a keto diet, collagen is a superior protein than whey, casein and of course soy. The collagen that you get from homemade broths is as it was throughout the centuries, unlike hydrolized whey, casein and soy powders which are processed with a lot of additives. The only milk proteins (whey and casein) you should be getting on a keto diet should come from foods such as hard cheeses and full cream. If I haven’t had the time to prepare a bone broth, I’ll start the day with a good grass-fed collagen and MCT supplement which affords be a similar edge. 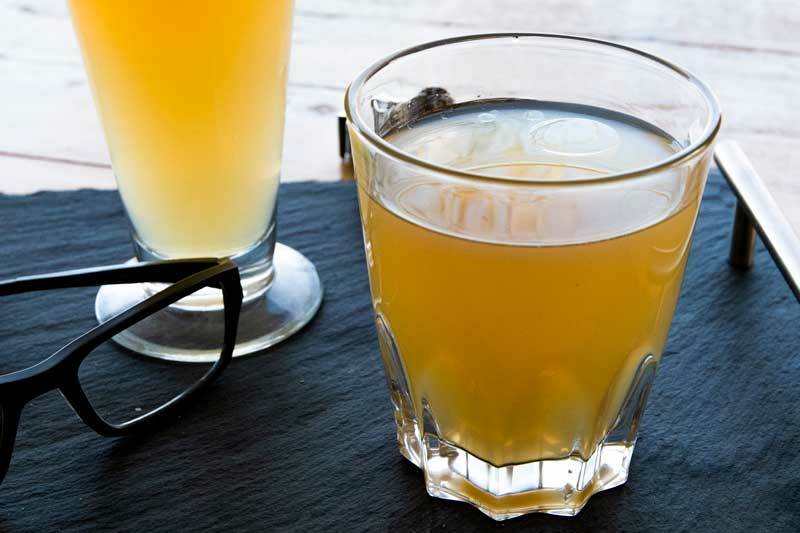 What are the benefits of drinking bone broth? 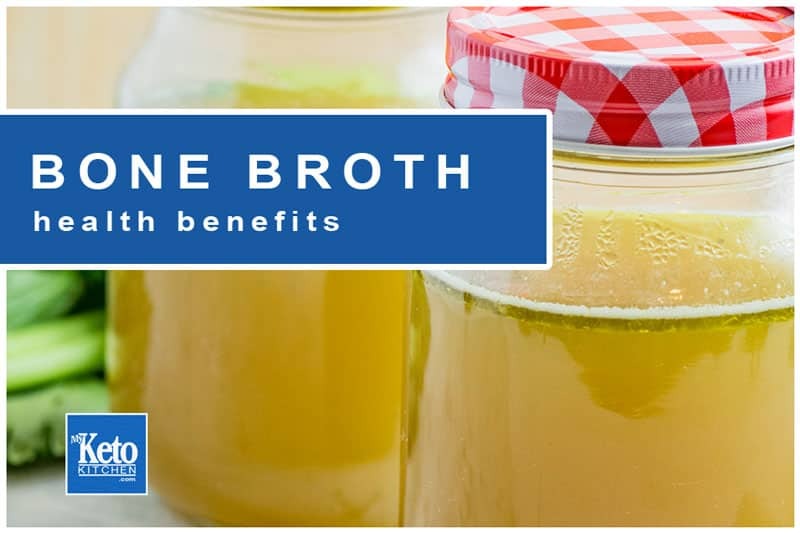 Bone broth has been said to be anti-inflammatory and to help relieve arthritis and joint pain due to amino acids l-glutamine, cysteine, glycine and histidine. Bone broth has been shown to aid weight loss by changing the ratio of Bacteriodetes to Firmicutes. Firmicutes cause an imbalance in the bodies ability to metabolize calories. The Collagen found in bone broth can help ease stomach upset by providing a protective lining over the walls of the gut. I like to start the day with a nice glass of bone broth. Great for focus and energy on a keto diet. Is Bone Broth the same as Stock? Many people confuse stock with broth as they look similar and in some instances taste identical. Bone broth should have a different thicker consistency than stock due to the amount of collagen and gelatin released from the bones. Bone broth and stock are different. Bone broth may contain the same ingredients as a stock. But bone broth is cooked for a much more extended period and is somewhat thicker. The thickness of bone broth is due to the gelatin and collagen that is extracted when the bones are cooked over a more extended period. You can cook a good stock in a couple of hours. But a good bone broth takes 24 hours + to cook and extracts much more of the minerals and nutrients out of the bones. Note: Chicken bones and fish bones do not need such a long time (10 to 12 hours should do nicely). If you’re looking for a good recipe, check out our Lamb and Herb Bone Broth recipe for cooking instructions and ingredients. We make mistakes when cooking all the time. Especially when you consider, that we like to create original recipes. Here are some of the mistakes we’ve made when making bone broth. Not boiling off impurities (especially when using beef bones). Boil (blanch) for 20 minutes before roasting. Not roasting the bones beforehand, roasting improves the flavor of the broth, really roast them to their limit with a high oven for 40 minutes. Using too small of a pot, you must use a stock pot. The bigger the stock pot, the better but only put enough water in to cover the bones. Putting too many additives into your broth. The only things we usually add to a bone broth are things that add to the smell good (which enhances taste). If you want to fill the broth with meats and vegetables, do that as a different dish like we did here with our delicious keto lamb shanks recipe. We added our broth to the shanks and other ingredients and cooked in a standard pressure cooker. Not cooking long enough. If you only simmer the bones for a few hours, all you’ll end up with is a watery stock. To draw all the nutrients from the bones (particularly beef and lamb), they should be cooked for 24 hours plus. Not refrigerating or freezing. When finished cooking your bone broth, remove the bones, strain it and then refrigerate asap. Better still freeze it as bone broth can breed bacteria. Bone broth really is a keto superfood that you should consume not just when beginning a ketogenic diet but all the time for its health benefits. Sugar-Free Jamaican Jerk Seasoning Recipe – Keto & Paleo Very TASTY! Can the bones be given to dogs afterward or does the long cooking time make the bones brittle? Hi Rich, I couldn’t see any benefit for the dogs once they’ve been simmering for a day. They become very soft, and theres nothing in left in them. Hope that helps. When you say to cook for 24 hours, you talk about using a stock pot, which I would consider on a stove top. Can this be done overnight in a slow cooker or for a shorter time in an Instapot? A slow cooker is also ideal to make bone broth. We wouldn’t recommend using an Instapot though, as it’s the low and slow nature of cooking bone broth that draws out all the nutrients. I hope that helps.